Crelate provides our customers the opportunity to post their Jobs on several Job Boards including: Indeed, Zip Recruiter, Dice, Career Builder, WayUp, Jobrapido, Resume Library, Glassdoor, Trovit, JuJu, CareerJet, JobInventory, and Monster. The purpose of this article is to provide some very important information on some of the limitations of the job boards (not the doing of Crelate, but the rules and regulations of the syndicated boards). First, just a quick reminder on how to turn on the Job Boards in Crelate. Go to Settings | Portal | Basic Setup and Click on the following tabs: Job Board Publishing - "Enabled" and then Click "Yes" for the Boards you want enabled. Make sure to click Save and refresh your page. It can take up to 48 hours for jobs to post to some of the free job boards. Crelate doesn't control what jobs are posted on the Job Board sites when it comes to "Free" or "Organic" publishing. Any board can and will reject all or part of Crelate's feed of jobs at any time for any reason with or without notice. We are aggressively continuing to look for more free boards and trying to negotiate better deals with paid vendors. Free boards won't always be Free and the trend line is quickly moving toward disbanding free posts. Job boards have a desire to monetize these jobs. In order to get a good candidate flow you should think about paying for more posts. Boards may start out "Free" but inevitably are moving toward charging for postings. Be sure you aren't just 'cutting and pasting' job descriptions for multiple unique opportunities - often the Job Boards assume these are duplicates and may not publish these jobs. Be sure your job titles are "unique' as this cuts down on the possibility of spam being a problem. Think about budgeting for Job Board Syndication and putting it as a cost of doing business. 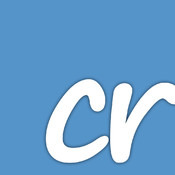 We have a link within Crelate to sign up for an Indeed Account Representative. Indeed has a very high level of quality control, and often working with your Indeed rep is the best way to get your Job posted to Indeed.